You CAN Afford YOUR Own I.T. Department! You are not in the computer business. Technology gives your business an important competitive advantage but managing and troubleshooting desktops, networks, servers and IT security is not, and should not be, your primary role. Bryant PC Solutions can support your team with the latest technologies while helping you to avoid profit-draining downtime. Service you can trust. Information is your most valuable resource. You need a partner you can trust to manage your data. Bryant PC Solutions will assign a dedicated account manager and specific, named technicians to handle requests. You’ll personally get to know your information technology department. Already have IT onsite? Bryant PC Solutions can provide supplemental support for your existing staff. We can provide a proper ticket management system and use your staff as the first line of support. Your staff can choose which tasks to escalate to us, or we can step in to support during sick days or vacations. Expand your IT department at a fraction of the cost. Comprehensive skill set at your disposal. None of our techs know everything, but put their skills together and they are unstoppable. You CAN have a dedicated IT Department at a fraction of the cost! Please contact us at 830.214.2339 to configure a custom support contract which meets your individual needs. Want peace of mind? Our I.T. partnership offers you network peace of mind. Your computer network is a critical tool to your business. It needs to be continually monitored to ensure it’s running predictably, optimally and securely. Hard Drive Free Space, Fragmentation and Error Monitoring. Your time is valuable. Do you have time to truly manage the specialized tasks above? You already wear many ‘hats’ and have more important things to do than deal with your computer network. Bryant PC Solutions offers an affordable, comprehensive managed program – an ideal solution for a business like yours, an organization that demands the utmost in network reliability and quality service. **NO CONTRACTS** – No Traps! We want you to be our customer because you want to be. Simply, we are the BEST I.T. resource and a value to your business. 3CX has been recognized for its innovation and cutting-edge technology. New and Refurbished I.T. Equipment – Everything You Need to Run Your Business (& Home)! We offer an affordable line of high-quality refurbished computers, monitors, laptops, tablets, and accessories – all come with a 90-day warranty. Prefer new equipment? – Save when you purchase through us, Your IT Department! As a valued partner and distributor of major computer brands, we get exclusive discounts which means YOU get exclusive discounts. Call or Email Us Today with Your Needs · 830-214-2339! Specializing in All-Things Tech · Talk to a LIVE Person Right Away! You can count on us for reliable I.T. repairs and solutions at affordable prices. No job is too big or small. When you select us, we will ensure the job is done right and you are fully satisfied with our service. 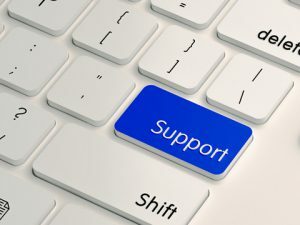 Call Us Today To Configure Your CUSTOM Support Contract Based on YOUR Needs!